Sofia. 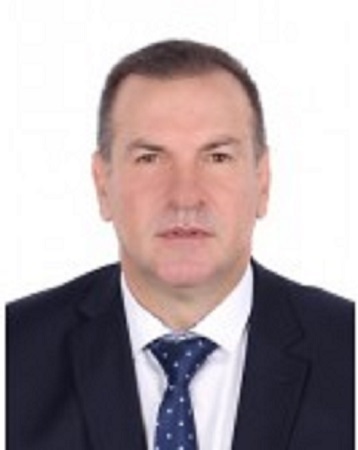 Deputy Minister of Energy Krasimir Parvanov has resigned. He presented his request to leave office this morning at the Council of Ministers, the Ministry of Energy said. Focus Agency recalls: On Monday it was reported that in the autumn of 2018 Krasimir Parvanov bought an apartment from Arteks at a preferential price. On March 23, Minister of Justice Tsetska Tsacheva and Deputy Minister of Youth and Sports Vanya Koleva resigned over similar deals. The Counter Corruption and Forfeiture of Unlawfully Acquired Assets Commission has opened a probe into the apartment purchases at preferential prices from Arteks by GERB deputy leader Tsvetan Tsvetanov, Tsetska Tsacheva, MP Vezhdi Rashidov and Vanya Koleva. Market prices, the origin of the funds, potential trading in influence and conflict of interest in legislative acts will be part of the investigation along with the activity of the company, including sales and prices, potential links to political parties, any party donations or participation in public procurement. Sofia. The construction of the Golden Century skyscraper will be conclusively stopped in a week’s time. This was announced after a meeting between Prime Minister Boyko Borissov, Minister of Regional Development and Public Works Petya Avramova, Sofia Mayor Yordanka Fandakova, Chief Architect of Sofia Zdravko Zdravkov and representatives of the Lozenets Initiative Committee. The construction will be stopped based on the irregularities found by the National Construction Control Directorate in the underground level and the expired building permit. 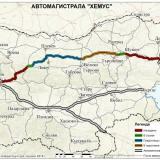 The inspection found that Arteks’ permit expired in November 2017 and was not renewed in the buffer one-year period. Thus it became invalid in November 2018 and everything built afterwards is considered illegal. 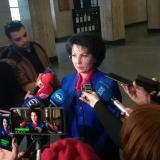 Minister Petya Avramova said that all who took part in the meeting agreed that the 2017 amendments to the Spatial Planning Act did not apply retroactively to Arteks’ permit. The initiative committee will suspend their protests for a week until the ban on the construction comes into effect on April 15. 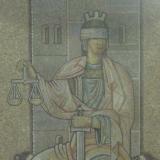 By law, Arteks has the right to appeal before the court. Chief Architect Zdravko Zdravkov said the building would be secured while the legal procedure was underway, but it remained unclear what would happen with it after that. Sofia. 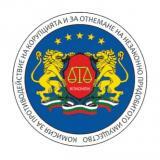 Today, 8 April 2019, the Supreme Cassation Prosecutor's Office has ordered the anti-corruption commission to conduct an investigation following a report filed by a group of MPs from the United Patriots Group and media publications conerning properties acquired by Minister of Tourism Nikolina Angelova and MP Valeriy Zhablianov. The commission will require information concerning the inspected properties about ownership history, the current state of the seller, the declaration of the properties in the relevant municipal districts, the payment of the sale price and the taxes and fees due, as well as the origin of the funds for the purchase. With a prosecutor's order the relevant notaries will have to submit full copies of the notarial deeds for each transaction. The buyer and the selling companies will be interrogated, including on their former relationships, contact and initial negotiations, how they obtained the information about the sold property and its price and follow-up activities. Each of the investigated persons will be asked to agree to a disclosure of bank secrecy and, in the absence of such, the prosecutors will act in compliance with the law on credit institutions. 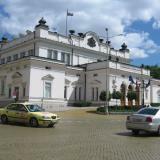 Veliki Preslav. All I have ever done and continue to do is not breaking the law. I have not broken [the law], and the truth will come out, but few will then call to apologise, said in Veliki Preslav Tsvetan Tsvetanov, Deputy Chairman of the ruling GERB, who is currently leading the party's National Election Campaign, Focus Radio – Shumen reported. “I have talked to my lawyer, we have analysed everything that has been going on. We are ready to bring lawsuits against some people, who have really crossed the line, both in their discussions and comments,” said GERB’s deputy leader. End of March Tsvetan Tsvetanov quit parliament amid an investigation into his role in a luxury properties scandal. Sofia. The irregularities found in the Golden Century building imply failure to comply with the original project, Minister of Regional Development and Public Works Petya Avramova said to reporters, Focus News Agency reports. She said there were irregularities in the underground floors. “We are talking about elevators for cars that were supposed to service the underground levels. Besides, there are no building papers for a plot that is adjacent and in which there are works under way,” Avramova explained. The findings provide sufficient grounds to halt construction. Asked whether the building could be demolished, the minister said the outcome would be clear after the completion of all inspections. Sofia. The conduct of anti-corruption body chairman Plamen Georgiev is in line with the law and allows for an objective investigation by the Prosecutor’s Office, newly elected Minister of Justice Danail Kirilov told reporters, quoted by Focus News Agency. 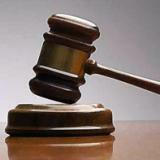 In connection with the scandal around the apartments of senior politicians and magistrates, Kirilov stressed that the law equally applied to everyone, including the legislative, executive and judiciary. “I believe that the conduct exhibited yesterday by the Chairman of the Counter Corruption and Forfeiture of Unlawfully Acquired Assets Commission is in line with the law and allows for an investigation – not by the Commission but by the independent Prosecutor’s Office – that is objective and competent. The opposition are already citing provisions of the anti-corruption law which disprove their allegations for over two years that there is hardly any possibility of control in regard to compliance with the law,” Kirilov said. Sofia. Coalition partner NFSB has asked the Prosecutor General to probe how Minister of Tourism Nikolina Angelkova acquired her properties, the party’s deputy leader, Boris Yachev, said to reporters, quoted by Focus News Agency. On behalf of their group in Parliament, Yachev welcomed the opening of preliminary probes into the property of Plamen Georgiev, head of the anti-corruption unit, and magistrates. “At the same time, there is also information about properties acquired by Minister of Tourism Nikolina Angelkova at lower than the market prices,” Yachev said, adding that the probe should examine any difference in prices and the origin of the funds. He said their request was in line with the prime minister’s declaration that the same standards must apply to all senior government officials. Sofia. At a meeting with Prime Minister Boyko Borissov, Mayor of Sofia Yordanka Fandakova said again that the construction permit for the Golden Century building in Sofia's Lozenets district had expired, said the government press office. 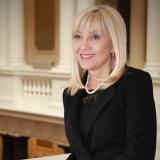 Mayor Fandakova asked the Minister of Regional Development and Public Works, Petya Avramova, to take action to stop the construction of the building. Minister Avramova informed Prime Minister Borissov that the inspection by the National Construction Supervision Directorate (NCSD) found significant irregularities, which gave sufficient grounds for stopping the construction. Based on all facts and circumstances from the completed inspections by the construction supervision directorate and Sofia Municipality, and the reports by Minister Petya Avramova and Mayor Yordanka Fandakova, Prime Minister Boyko Borissov has ordered the NCSD to suspend the construction. Sofia. 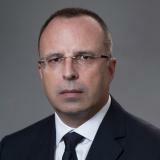 Following numerous publications in the media about properties acquired by Plamen Georgiev – Chairman of the Committee for Combatting Corruption and Forfeiture of Illegally Acquired Property (KPKONPI), the son of Borislav Sarafov – Director of the National Investigative Service (NIS) and Deputy Chief Prosecutor of Investigation, and the wife of Lozan Panov - Chairman of the Supreme Court of Cassation, Prosecutor General Sotir Tsatsarov has ordered the Supreme Prosecutor's Office of Cassation to carry out an investigation under the Judicial System Act, said the Prosecutor's Office. 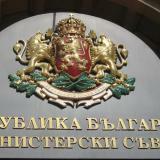 With regard to the materials concerning the chairman of KPKONPI (allegations of false declaration in relation to a flat purchased by him and his wife, as well as unproven source of funds for the purchase), the National Revenue Agency (NRA) will perform inspections for determining tax obligations of Georgiev and his wife and compare their declared and/or received income and assets in the period from 2013 to 2018. The prosecutors will look into the title deed and the notarial deed for the transaction, and will request the whole information on the purchase from the landing bank. According to media reports, the son of NIS’ director acquired in 2018 and 2019 expensive properties without clear source of funds, and the NIS’ director himself, Borislav Sarafov, is alleged to have not declared the possession of such amounts before the Supreme Judicial Council. 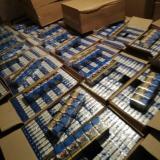 They will be investigated by the anti-corruption committee and the National Revenue Agency. The chairman of Supreme Court of Cassation, Lozan Panov, and his wife will be investigated in relation to purchase of property and potential conflict of interest. Sofia. 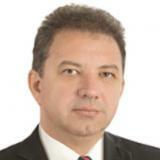 Stanislav Stoyanov was sworn in as a MP from GERB Group, Focus News Agency reports. Stoyanov will take the place of Tsvetan Tsvetanov, whose resignation was voted on Friday in a scandal over purchases of luxury flats. 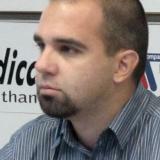 Stoyanov was on the list of the 4th multi-mandate constituency of Veliko Turnovo in the parliamentary elections in 2017. Sofia. The Chair of the Commission for Combating Corruption and Forfeiture of Illegally Acquired Property (KPKONPI) has called reports about his properties “compromising nonsense”, bTV reported. In his words, those behind the attack are people with media, oligarchs, against whom the Commission had brought actions. Plamen Georgiev criticised the media, saying: "I am sorry for you, trying to be of service to these oligarchs.” He refused to comment on how many of his neighbours use the nearly 200 sq. m terrace, which he claims is a shared area. He did not either answer the question as to why the terrace is included in mortgage documents filed with the property register. He said his subordinates in the Commission could easily do a check on his property and income. “[Those] who have illegally acquired billions fight against me personally and against the Commission because they do not like what is happening,” Georgiev said. Sofia. 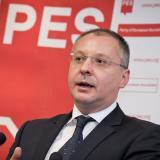 The issue of the apartment deals of people in power is unlikely to blow over, rather it will have resonance and continuation, President of the Party of European Socialists Sergei Stanishev told reporters before a discussion on this year’s elections to the European Parliament, Focus News Agency reports. “In the European election, the BSP has to show a clear European face as policy and a solid list,” he said, and denied being part of any internal struggle with BSP leader Kornelia Ninova. 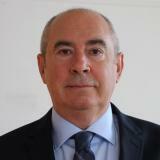 He commented that the resignations of GERB politicians in the wake of the scandal over the apartments were inevitable, given the public impact and anger. Assuming that the scandal would continue, Sergei Stanishev said that if the pre-election campaign was to be only mutual accusations, people might not turn out to vote, and this would suit GERB, he added. Sofia. The Parliament accepted the resignation of Tsvetan Tsvetanov as MP by 121 votes to 7 with 3 abstentions, Focus News Agency reports. 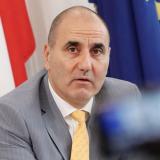 Tsvetan Tsvetanov leaves the Parliament but remains deputy leader of GERB and will run the party’s campaign for the elections. This was announced by Tsvetanov himself after talking to Prime Minister Boyko Borissov on Wednesday, shortly after Tsvetanov’s return from a working visit to the US. The reason for his resignation is the scandal over the apartments of leading political figures. 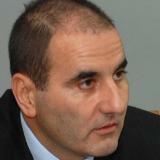 Tsvetanov was the chairman of GERB’s group and of the internal security committee in the 44th National Assembly. 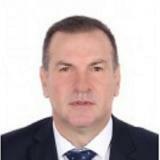 He had been elected from the Veliko Tarnovo constituency in the general elections of 2017. Sofia. Some violations have been found with regard to the Golden Age building, but the building is legal because it has regularly issued construction papers, the head of the National Construction Control Directorate (NCCD), Ivan Nestorov, said at a briefing about the inspection of the building of Arteks, Focus News Agency reports. He said the violations consisted in some deviations from the approved blueprints. “Arch. Zdravkov says the building has lost legal validity because the one-year term for the construction right with all the extensions was until November 2018. I agree with him, but the Supreme Administrative Court’s practice in similar cases is that any addition to the building permit automatically extends the duration of the building permit,” the NCCD head explained. According to him, the last addition to the building permit was made in August 2018 by order of the chief architect of Sofia, Zdravko Zdravkov. Sofia. 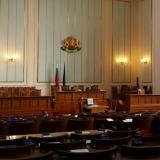 The turnout in the May European election will be low as a result of the domestic political situation in Bulgaria, sociologist Assoc. 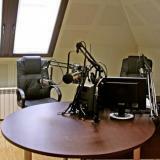 Prof. Mira Radeva said in an interview with Focus Radio on occasion of Tsvetan Tsvetanov’s resignation as MP in the wake of the “Apartmentgate”. 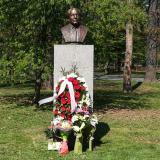 She pointed out distrust of the Bulgarian political class as well as distrust of the work of the European institutions, through much controversy over the Mobility Package and the heated discussions on the Istanbul Convention in which Bulgarian society failed to protect true democratic values. “We turned out to be a society between East and West, between the patriarchy and the postmodern world. We could not give an adequate and unequivocal answer to any of those deep questions. But why be angry with our politicians and our society, when we see the big drama with Brexit,” the sociologist said. Sofia. There should be structural changes in the cabinet to prevent lobbyist legislation in advance, maybe a deputy prime minister responsible for evaluating the impact of draft laws when there are doubts about lobbying, political scientist Assoc. 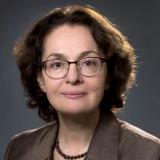 Prof. Rumyana Kolarova told Focus Radio. In her words, there are obviously no mechanisms in Parliament against conflicts of interest in situations like the “Apartmentgate”. Such short-sighted legislation often has to be corrected afterwards under public pressure, she commented. She said that despite the resignations the “Apartmentgate” was still not a closed issue and required an institutional solution. As for Tsvetan Tsvetanov’s withdrawal from Parliament, she said it was consistent with the withdrawal of other GERB politicians when facing doubts and accusations. Sofia. 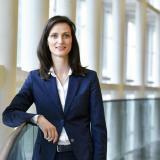 Daniela Daritkova will be the new chair of the GERB Parliamentary Group, Prime Minister Boyko Borissov told a press briefing after a meeting with the Union of Democratic Forces leadership, Focus News Agency reports. In his words she is a person with the right qualities, who can control the group “in the good sense of the word”. The prime minister further said that he would announce by the end of the day who will replace Ms Tsacheva after completing all background checks. Sofia. The amendments to the Spatial Planning Act have nothing to do with the construction of the Golden Age building, GERB’s deputy leader and parliamentary group leader, Tsvetan Tsvetanov, said upon arriving at the Sofia airport after a working visit to the US, Focus News Agency reports. “That was said by experts. It has nothing to do with the building,” he said. Asked if he would resign, he said he would make his move after talking to Prime Minister Borissov. Sofia. 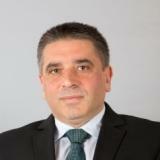 If Tsvetan Tsvetanov withdraws as MP, it will cause turmoil, as without him work in Parliament would be much more difficult, coalition partner NFSB’s leader, Valeri Simeonov, said in comments to reporters in connection with the property scandals, not ruling out a complete standstill in Parliament, Focus News Agency reports. He said that GERB parliamentary group’s leader was an important mediator between different groups and opponents with regard to bills and resolutions. He said the scandal stemmed from widespread tax evasion. “This is about a scheme of VAT evasion, tax evasion that is widely used by construction companies and is known to the NRA. 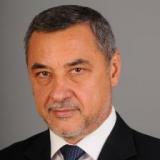 It is just a status quo, illegal, and some illegal actions accepted also by the institutions, unfortunately,” Simeonov said. Asked if the small coalition would oppose a decision by GERB that Tsvetanov should leave Parliament, Simeonov said it was an internal issue for GERB. Sofia. Ruling party GERB’s executive committee will most likely meet on Thursday, Parliament Legal Committee Chair Danail Kirilov, GERB, told reporters. Regarding rumours that he could be the next minister of justice, Danail Kirilov said that no such conversations had taken place thus far. Sofia. Vice President Iliana Iotova said today about the growing scandal with apartments that now it’s time for Prime Minister Boyko Borissov to make a move, both as GERB party leader and as prime minister, BNR has reported. She commented that Parliament was unable to work normally and its acts were under question due to uncertainty and incomplete debates after BSP’s withdrawal from plenary sessions. Cairo. Parties that want to have future should alone get rid of corrupt cadres instead of waiting for scandals and tackling them with resignations, President Rumen Radev said to reporters in Cairo when asked about the two resignations in the government, his press office said. 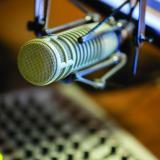 The head of state said he did not come to Egypt to comment on Tsvetan Tsvetanov’s apartments. “My position has always been principled. Two months ago, during my annual report, I very clearly stated that parties that want to see themselves on the future political horizon should alone get rid of corrupt and incompetent cadres with managerial ambitions, and not wait for scandals and tackle them with resignations,” the president said, adding that it applied to all parties. Sofia. 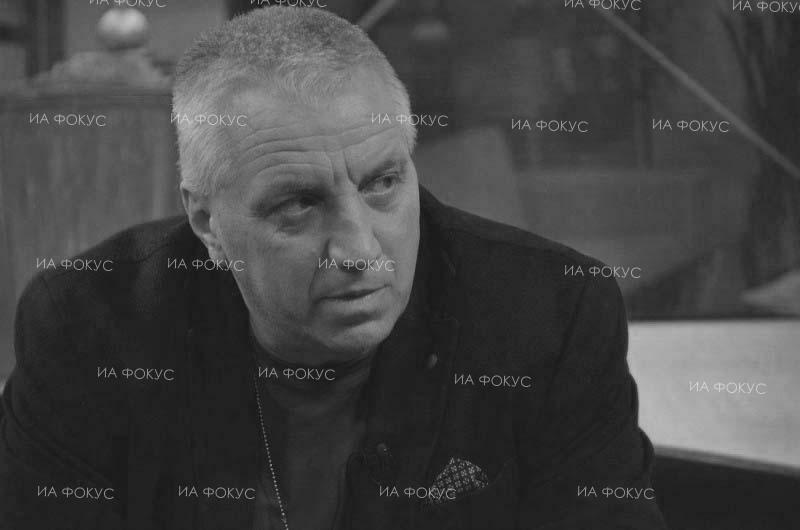 An internal battle has started within GERB for Borissov’s legacy, political scientist Parvan Simeonov said in an interview with Focus Radio about the ministerial resignations amid the scandal over their apartments. He said a third resignation would be a matter of internal balances within the party. In his words, the internal disagreements between a partisan lobby around Tsvetan Tsvetanov and another one, more flexible and European, are increasingly evident and may determine GERB’s future once Borissov steps down. 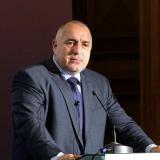 The scandal about the apartments may be an attempt by internal forces, perhaps with Borissov’s blessing, to thwart Tsvetanov’s aspirations or even a counter-attack after his “communication mistakes” with the mufti’s debt and the preferential voting threshold, Parvan Simeonov said, adding that it was all in the realm of speculation. Sofia. The Counter Corruption and Forfeiture of Unlawfully Acquired Assets Commission announced the opening of a probe into the purchase of apartments by GERB deputy leader Tsvetan Tsvetanov, Minister of Justice Tsetska Tsacheva, MP Vezhdi Rashidov and Deputy Minister of Youth and Sports Vanya Koleva in connection with media reports and a notice from a non-governmental organisation. 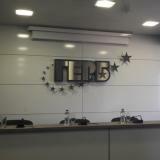 The commission will look at the market prices of the apartments, the origin of the funds, potential trading in influence and conflict of interest in legislative acts, and the activity of Arteks Engineering AD, including sales and prices, potential links to political parties, any party donations or participation in public procurement. Kyustendil. 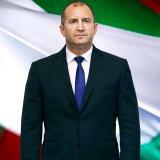 The case of the apartments of people in power by far exceeds the scope of a property deal because it directly affects trust in the political class and statehood, President Rumen Radev said in Kyustendil, quoted by Focus Radio. Recalling his address two months ago, the president again warned that those in power should not be spared investigation of corruption, otherwise respect for the law would be undermined. He said that an anti-corruption unit appointed and controlled by Tsvetan Tsvetanov cannot investigate Tsvetanov by the “toothless” law imposed by Tsvetanov himself. 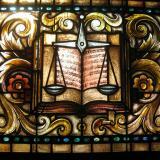 “In my opinion, another guaranteed exoneration of Tsvetanov will be at odds with the moral judgement of society. 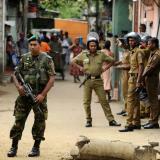 This is the big problem ahead of us,” the president added. Sofia. After being notified by the civil organisation BOEC, the Prosecutor’s Office will take appropriate action, Prosecutor General’s spokesperson Rumyana Arnaudova said during a briefing, Focus News Agency reports. The case has not been assigned yet. 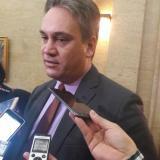 A preliminary probe usually includes request of documents, information from the Registry Agency, questioning and an expert’s opinion on the market value of the property, and then prosecutors decide if a crime was committed, Arnaudova said. The probe may be assigned to the Counter Corruption and Forfeiture of Unlawfully Acquired Assets Commission, she added.